Sky Bet, William Hill, and Betfred are top-rated and regulated bookmakers that have been serving punters within the United Kingdom for several years now. Each of these bookies is known for their sports betting platforms as well as the offers and promotions they offer their players. Their offerings extend to a broad range of sporting events and other specials and they cover all the major leagues from across the world. It is noteworthy to mention that after our thorough review of the three bookies, William Hill takes the lead among the top betting sites due to the variety of markets, top-notch quality of its online betting as well as the player-centric promotional offers. Read this in-depth review to learn more about their unique offerings including welcome bonus packages, odds markets, mobile betting experience, and cash out options to determine which of the three bookmakers is best suited for you. The bookie rewards all its new customers with £40 in free bets upon placing their stake of £10. To qualify for the offer, you have to register an account with Sky Bet, after which you’re required to deposit at least £10 and stake the amount on any of their sports markets at odds of 2.0 or greater. The free bet is awarded in four tokens of £10, with the first token being credited as soon as you fulfill the staking requirement. Players will then receive the remaining three tokens in increments of £10 every Thursday for a period of three weeks, and the free bet amount is valid for 30 days after being credited. It is also important to note that the bonus amount can only be used on the singles and each way singles markets. All new William Hill players are welcomed with a bonus package of £30 in free bets for the first stake of £10/€10 at odds of 1.5 or greater. To qualify for this offer, you have to register an online account with the bookmaker, and you can opt-in the welcome bonus promotion using the promo code C30. You can place your first £10 bet on any of the available markets, but for each way bets, the win part is the only one that will count. The £30 free amount is awarded in 3 tokens of £10, and it must be wagered within 30 days of crediting. 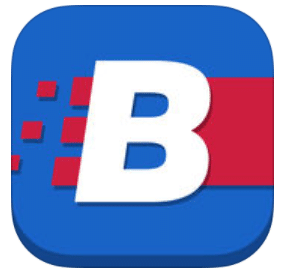 Betfred’s welcome bonus offer is available to all new customers, including those who place bets via the bookie’s app. Upon registration, you’re automatically eligible to receive £30 in free bets on your first wager of £10 or more. You can stake on any sports market to qualify for this offer, but the total odds, whether single or cumulative must be 2.0 or greater. In addition, your qualifying bet must be settled within 60 days of staking. The bonus amount of £30 is credited to your account within 10 hours of your first bet being settled, and the amount is valid for 7 days. It is also important to note that the offer is available to residents of the UK and Northern Ireland only, and you must make your first deposit using credit/debit cards to qualify. 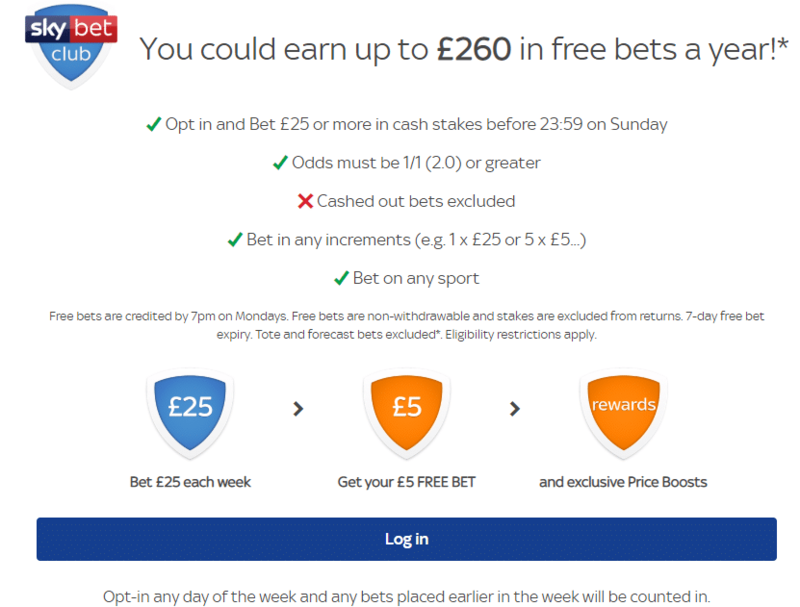 Sky Bet has the most competitive welcome bonus package for new players among the three bookies, given that they award the highest free bet amount and their bonus terms and conditions are also less convoluted. It is no doubt that all three bookmakers deliver quality when it comes to sports coverage, betting markets, and odds, which makes them highly popular among UK bettors. However, as you would expect, there are still some slight variations across the board as explained below. William Hill sportsbook boasts a total of 34 sports markets on their portfolio, and their offerings range from the most popular ones like football, tennis, and basketball to the uncommon markets such a motor racing, motorbikes, winter sports, cycling, virtual sports, and e-sports. Their coverage of different sports events is both extensive and intensive, and you will find that the bookie offers a wide variety of odds markets on each event. For example, the sportsbook covers more than 60,000 matches annually in football alone, and you can bet on a variety of markets such as totals, handicaps, scorers/match specials, halves, and stats/cards/corners on one game. Sometimes, you can find more than 250 markets for one match, and besides bets placed before matches, you can also visit their in-play betting section to place live bets on various events as they happen in real-time. William Hill also covers more global events than the other two bookmakers, and their coverage of North American sports is particularly commendable. However, the bookie lags behind Sky Bet and Betfred when it comes to the competitiveness of odds, and their average margin on football (5.4%) is slightly higher compared to that of the other bookies. Betfred is a notable bookmaker when it comes to betting markets and competitive odds, and the sportsbook is particularly known for awarding high payouts on favourites. The bookie features about 22 sports markets, but their selection is most inclined towards the main sporting options among UK and North Ireland punters like football, cricket, darts, handball, ice hockey, cycling, and horse racing. This limited selection means that you cannot bet on less popular sports like e-sports events or badminton at the site, but the extensive coverage of horse racing events and football makes up for this inadequacy. Another strong point of the site is their in-play betting and live streaming feature. When it comes to margins, Betfred comes ahead of Sky Bet and William Hill as the bookie’s edge is less than 5% across all markets and 3.5% on football betting. Sky Bet is a punter-friendly site when it comes to quality delivery on sports betting markets and odds, and the sportsbook is known for offering some of the most competitive prices on markets like 1X2. The bookmaker’s sports catalog features 42 sports markets, and besides the common offerings like football and horse racing, they also feature rare markets such as squash, winter sports, netball, wrestling, and about 7 virtual sports options. Other cons about the bookmaker are their extensive coverage of horse racing and their price boost offerings on various sporting events. When it comes to betting margins, Sky Bet has an edge of 5% across all major sporting markets, which makes it a good choice if you’re looking for value on your money. William Hill beats Sky Bet by a slight margin when it comes to betting markets and odds, and this is mainly because of their varied betting markets which present punters with more options. Besides the welcome bonus offers for new players, all three bookmakers run other exciting promotions for their existing members as explained below. Sky Bet offers the most lucrative bonuses for existing players among the three bookies. The bookmaker runs a year-round weekly promotion for all existing members, and you can earn up to £260 in free bets annually and if you place bets with the bookie each week. All you have to do is wager at least £25 on any sport each week and you will be awarded £5 in free bets at the beginning of the following week. In addition to this amount, you also get exclusive price boosts on different betting markets. The free bet amount is valid for 7 days after being credited. Sky Bet also runs seasonal promotions under their “Today’s Offers” section hence all existing players should check out the page regularly to keep up with new bonus offers. The section features a variety of promos like price boosts on selected markets such as goal scorers and wins bets on horse racing. There’s also a money back guarantee offer on in-play tennis bets in which the bookmaker awards players a 10% up to £50 in free bets on live tennis net losses each week. All William Hill players can take advantage of the bookmaker’s enhanced odds offer on a bunch of events and markets. The offer runs all year round, and all you have to do is look for the enhanced odds logo on William Hill’s website to ensure that you get the best value for your money as you bet on your favorite market. The bookie also allows their customers to customize/develop their own wagers after which they can request the sportsbook to price the odds for the tailor-made market. To do this, all you have to do is make up your own market and tweet your request to @WilliamHill using the #YourOdds and the bookie will give you a price for the unique market. The site also allows members to watch live US horse and greyhound racing events for free on their Betting TV, Monday through Sunday. Best odds guaranteed on horse racing: Punters who enjoy staking on horse racing can enjoy price boots on all racing events in the UK and Ireland. Football accumulator insurance: All 5-fold+ football accumulator bets qualify for money back bonuses if you lose by one team. Money back 2nd promotion: The offer is valid for horse and greyhound racing events. The cash back amount is a free bet amount up to £10 on selected races if you back a horse or greyhound to win and it finishes second. Double Delight Hat-Trick Heaven: The DD/HH promotion allows members to get double and treble the odds on in-play and pre-match first goalscorer bets. Sky Bet has the most consistent current promotions compared to William Hill and Betfred, and their terms and conditions are also more straightforward. William Hill tops the list when it comes to in-play betting and comprehensive live streaming coverage. The bookmaker has a fantastic live streaming schedule known as WHTV Live streaming which offers punters the opportunity to follow the live action on a variety of sports across all the major leagues of the world. Available sports markets include horse racing, football, basketball, tennis, cricket, rugby, ice hockey, darts, and snooker. Members can log into the site to view the bookie’s full live schedule listing. Betfred has a relatively new but smooth live streaming platform known as “watch Live” which allows bettors to tune into various sporting events as they take place in real time. Their selection is quite vast, and their offerings include football, basketball, tennis, greyhound bags, and horse racing. The platform features more than 50 streams each day, and you can watch the action from your PC or mobile device. The Sky Bet live streaming service is available to all Ireland and UK customers, and you can take advantage of this platform to follow the live action for free on a variety of sporting events. Their offerings include football and tennis, and you can watch thousands of matches on these sports via your mobile device throughout the year. The bookie also has a Bet and Watch offer for all UK and Irish horse racing events which allows punters to live stream horse racing contests once they place a bet on the match. The Bet and Watch offer is open to both mobile and PC users. 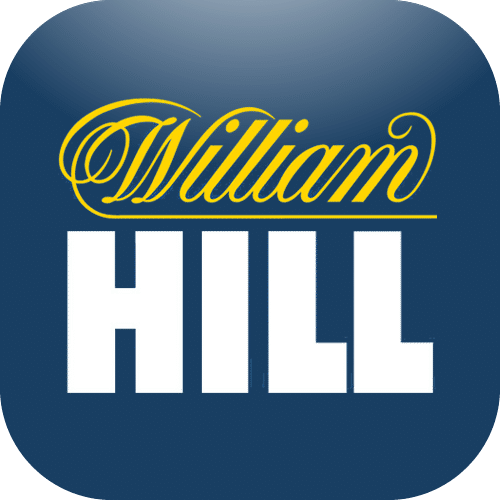 William Hill has a dedicated betting app for sports wagering only which is compatible with all iOS and Android-powered devices. Members can download the application to their mobile devices and through this platform, they are able to place bets on their favourite sports markets on the go without missing out on winning opportunities. The William Hill sports betting app also offers the most comprehensive coverage of horse racing events with best odds guaranteed on all Irish and UK horse races as well as market insights from Racing Post to ensure that punters have all the information they need on top races for easier bet placement. The only downside to this app is that it is a bit crowded due to the numerous available markets. 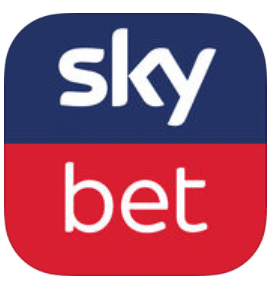 Skybet is ahead of the other bookmakers when it comes to seamless mobile integration and quality delivery. All aspects of the desktop version such as a premium betting slip, high loading speeds, and neat layout are well replicated in the downloadable mobile version, and their market offerings are also vast. The mobile version also has a separate feature known as the Sky Bet tracker which features Cash Out options and built-in stats on football and other selected sports. Betfred has a professional and neat mobile sports betting platform which gives punters access to a broad selection of sporting events and markets in real-time. In addition to this, they also have a separate Goals Galore app dedicated to their Goals Galore promotion, which is exclusive to football bets in both teams to score markets. However, the Betfred mobile sports betting app is not the best when it comes to loading speeds and other functionalities. All the three bookmakers have cash-out features that allow punters to close their bets at any given time even and collect a given amount regardless of the final outcome of a sporting event. The cash out features of each platform is explained below. William Hill sets the pace for other bookmakers when it comes to cash outs, and the bookie’s Cash In My Bet feature is one of the best available in the market. Players can use this feature with William Hill to cash in on profits or cut losses as an event progresses, and what’s more, the feature allows you to cash out your full stake and pocket all profits or to take half the stake and leave the other half running. The option is available across a variety of sports markets for both pre-match and in-play bets. Betfred CashOut offer is available to all Betfred members whether you’re wagering through their web or sportsbook app platform. Using this feature, you can cash out on select football, horse racing, golf, and tennis events, and by closing your bet, you agree to be paid the offered amount at the time of cash out. The Cash Out feature on Skybet can be accessed through the My Bets section, and it allows you to keep track of your wagers as well as opt to close bets before the end of a sporting event. The option is available across various sports and betting markets, but Permutation bets, Each Way, Ante Post, and Starting Price markets are not eligible for cash outs. It is also important to note that cashed out bets do not qualify for various free bet promotions like the welcome bonus offer.